Discover the fruit of the Spirit through nine lives of nine incredible cats! 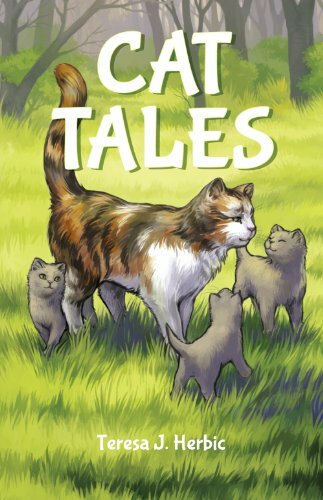 Cat Tales is a practical and fun way to teach children about the significant fruit of the Spirit, while enjoying the sensational adventures of nine real cats. Cat Tales shares the stories of nine remarkable cats exploring nine abundant lives. During their experiences, they learn about the importance of God's plan, while they each exhibit a fruit of the Spirit: love, joy, peace, patience, kindness, goodness, faithfulness, gentleness, and self-control (Galatians 5:22-23, NLT). Cats tell stories from their own perspective. Each cat, related to one another, was adopted by the author and her family. Reading this book may very well inspire you to adopt a kitten or cat. Maybe you have already? May God bless you as you seek His good will and the fruit of the Spirit through these extraordinary Cat Tales! Teresa Herbic is the Director of Family Groups at Pleasant Valley Baptist Church and Families for Adoption, an international and domestic adoption, foster and orphan care network. God has blessed her and her husband Galen with two adopted children, Meyana and Braxten, and two adopted cats, Dakota and Lolli. Over the course of her lifetime, Herbic and her family have adopted the nine cats featured in this book.